Why play when you can read? Well, a few things came to a head in the past few days. I was working on my next training levels (more on that some other time!) when Bella came rushing in to the bedroom and told me that something was going on with Geoffrey in the study room. She thought it must have had something to do with his wife, who she thinks has been skyping him regularly (I prefer that people don’t use their mobile phones at home. It distracts them from their spiritual studies). I headed upstairs and confronted him. He was clearly upset and I could hear Nancy’s angry voice through the laptop speaker. I slapped the laptop shut and confronted him about the problem. He said his wife wanted him to come home and to stop messing around with Dinonetics. I grabbed him by the shoulders, shook him, and reminded him that his spiritual future relied on him completing the courses and awakening his inner free being. I also gave him some new, crucial data points that I had recently discovered through my own inner communion with the spirit world. I told him that if he were to quit the program mid-stride, before attaining full awakening, he risked causing himself serious physical injury. He was amazed at that news and also thanked me for helping him get his priorities straight. He then became calm and told me that he should end it with Nancy and that he couldn’t risk her getting in the way of his studies any more. I agreed it would be for the best. 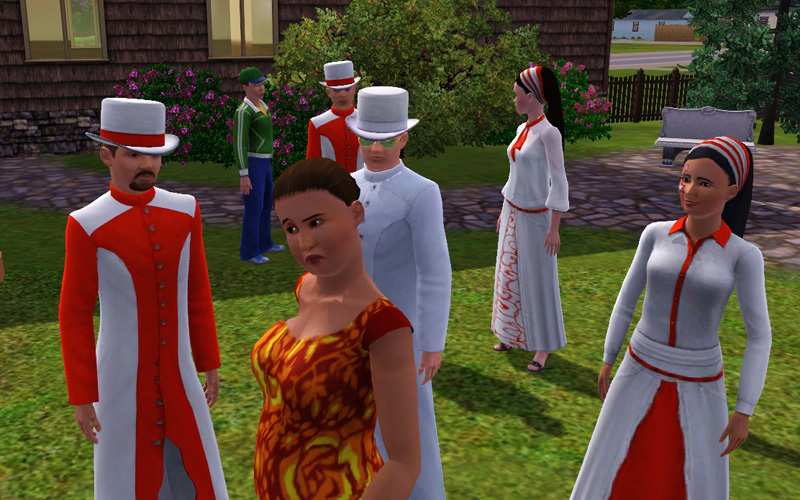 The following day, being a Saturday, we all headed over to the Landgraab house to support Geoffrey in his brave act. He didn’t mess around, pausing only to say hello to his son (he handed him a copy of Dinonetics too! Always looking out for other people, Geoffrey!) and his baby before telling Nancy he was divorcing her. It was just as well we were there as Nancy collapsed and needed to be helped to a chair. Once she had recovered she said she didn’t understand what was going on and why was Geoffrey talking so crazily? He cooly, and with peace at his core, told her that her constant nagging him to come home and to leave our household was like a spiritual ball and chain around his legs, stopping him from achieving spiritual transcendence. She tried to protest but we didn’t stay to hear her pathetic crying and whining. If only she chose to study Dinonetics! Everything would be clear then! After this successful outing Simis and Bella approached me. 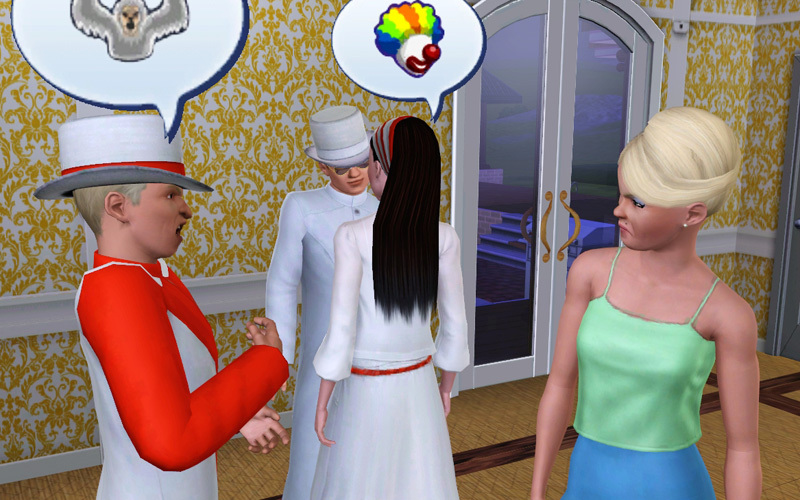 Simis said he had been talking with Bella and they had agreed it would be best if Simis and his wife split. 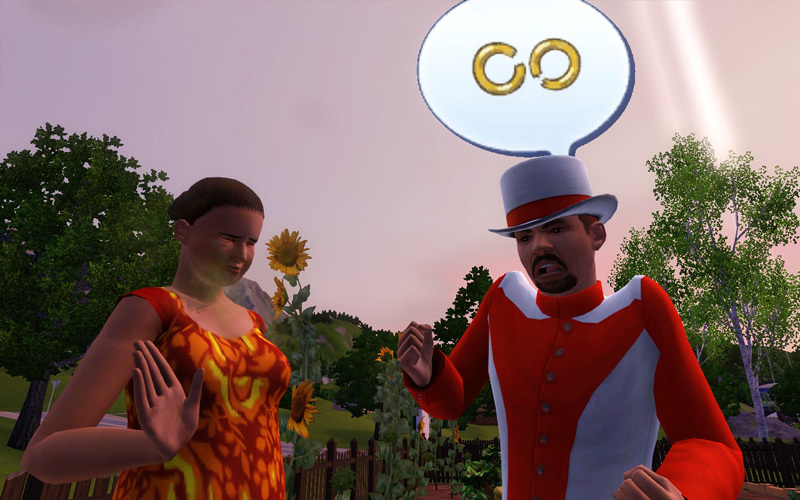 Simis said he didn’t want to risk Jocasta ruining the amazing spiritual gains he’d experienced through Dinonetics! We all agreed to go right away! 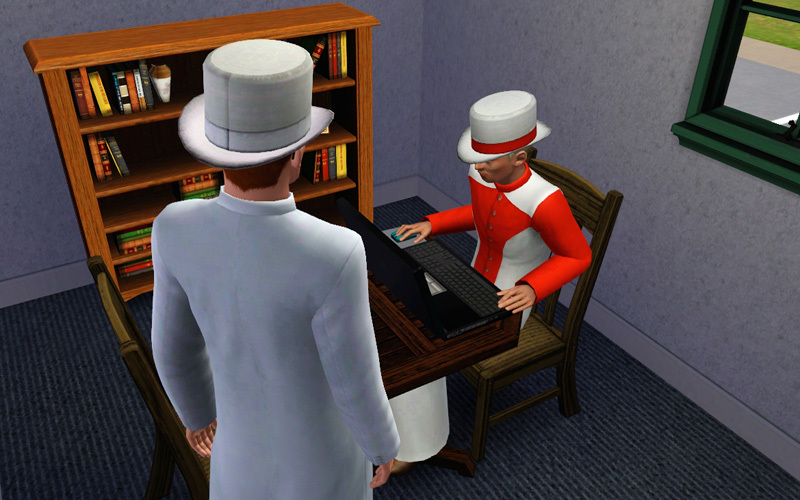 It didn’t take long for Simis to end that destructive relationship. We found Jocasta and her son, Malcolm, in the garden. Simis went right up and bravely told her how it was going to be! She cried, of course, as the peons who don’t study Dinonetics really have no control over their emotions and their intellect. They just don’t understand that this life is meaningless and all that matters is the spiritual journey to a higher plane. Oh well, as long as they are alive and can still get a copy of my book, there is hope for them I guess! After the breakup we headed home and all had a good chat and a few celebratory drinks. Simis and Geoffrey both reported feeling much happier and as if a great weight of responsibility had been taken off their minds. They promised this new freedom would really help them focus on their studies and both felt as if their troubled past had been put behind them! What is even better is that Bella supported her father 100%! What a great day! Check out "Getting Started with Dwarf Fortress ", a book I've written available in ebook and print formats. The ebook from O'Reilly will be updated for free to O'Reilly customers at each major update of Dwarf Fortress. The Complete and Utter Newby Tutorial for Dwarf Fortress - Part 1: "WTF?" The Complete and Utter Newby Tutorial for Dwarf Fortress - Part 2: "No, srsly, WTF?!"